Money back Guarantee/Lifetime Health Warranty is our signature! Being responsible is what we do! We leave nothing up to chance so why should you??? 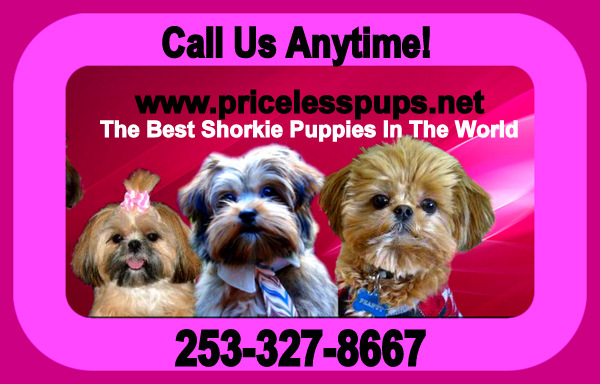 For the first 5 yrs of your puppies life we stand behind it with a money back guarantee. NO other website or breeders offer this. We have searched HIGH AND LOW!~ and no other breeder offers this. So please know as your breeder we are with you on this journey all the way and you are family when you adopt a Priceless Pup! ! !We even take it a step further and stand behind your puppy with our limited Life time warranty of up to 10 yrs and offer a in-house Priceless Pups credit.